In the plethora of fitness machines if we are asked to choose the best type of fitness home equipment then it is front drive elliptical trainer that first comes to our mind. It is one of the first types of fitness equipment that gained much popularity among the fitness experts from the time when people started paying attention to keeping their body fit. There are many affordable front drive elliptical available in the market making it an easy buy for many. The compactness it provides is also another reason for its popularity. The difference between all the types of elliptical trainers is merely the placement of their flywheel. In front drive elliptical trainers, the flywheel mechanism is such that the drive system is placed in front of the trainer in a way that the whole weight of the user is centred behind the flywheel. Front drive elliptical machines are designed in a way that during workout sessions the users must lean forward on the machine in order to keep balance. The posture we are in while using a front drive elliptical is similar to the posture we have when we use a stair climber. 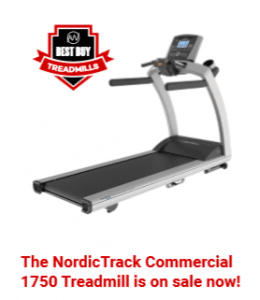 Generally, it is made with a fixed incline ramp but there are only a few elliptical trainers in the market that let you adjust the incline manually. These elliptical have a lot of moving parts and this increases the chance of complaints in the future resulting in maintenance costs. The maintenance expense is comparatively greater for the front drive elliptical as compared to the other types but they are well known for being cheap and durable. Random selection of a type of fitness equipment is not a wise choice when it comes to matters related to your health. For the same reason, extreme care must be given when choosing a front drive elliptical trainer. It must be noted that neither the cheapest nor the expensive one is not the best elliptical trainer for your body but it is the one that suits your body mechanics and workout style well. We know it is not as easy as we speak when it comes to people who are not fluent in healthcare and fitness. So we have made a useful guide which will help you in making a good decision in buying front drive elliptical equipment. Always remember that your wealth and health is valuable. The most important aspect you need to consider before buying a front drive elliptical trainer is its flywheel weight. It can increase and decrease the efficiency of the trainer and is dependent on the choice of workout style you decide to do on your fitness equipment. Flywheel weight determines the resistance that is experienced during the entire workout. Heavier the flywheel the more strenuous the workout will be. It is quite useful if you plan to have intense workout sessions. The flywheel with lower weight has its own advantages. They can quickly respond to changes in acceleration and force on the pedals. So if the flywheel weight is low then you will able to reach the maximum speed of the front drive elliptical trainer really quick and with minimum effort. The machine due to the quick response almost comes to an immediate stop when the user stops pedaling. Lighter flywheels are comfortable for people aiming to just stay fit but will be insufficient work intense workouts. The wattage on an elliptical machine is an indication of the amount of resistance it can deliver while peddling. That is a direct indication of the intensity of workout an elliptical trainer is capable of providing. So always choose a front drive elliptical trainer with a good amount of wattage that is enough for your workout styles. Manufacturers clearly state the wattage of each elliptical trainer making it easy for users to find a trainer with the desired wattage. Always make sure that you make a checklist of all the requirements that you will need on your elliptical trainer. This will make it easier for your select the best elliptical trainer that becomes your perfect fitness companion. One of the most important components of an elliptical trainer is its foot pedal. Users are in direct contact with it so extra care must be given while choosing the quality of the pedal. The best elliptical trainer should have appropriate length for the foot pedal. And the foot pedal must be made with a good material for a comfortable peddling. So only invest in a front drive elliptical if you feel that it offers good support for your feet while peddling and also has a good surface area. The foot pedals must be made with a non-stick material and it must have some friction on the pedal surface otherwise users might slip during the workout session. If the foot pedals are not selected carefully it might invite danger while you are working out. Control panels are a necessity when we need to customize our work out. But detailed control panels are considered a luxury in the front drive elliptical machines and or often found only on the expensive models. These control panels help you maintain your physical health based on your workout plan. They can monitor your heart rate and temperature levels which are a great advantage as you will understand the kind of changes that take place within your body during the workout. All the manufacturers are using their own unique method of creating a user-friendly control panel but not all of them useful. Lack of a good control panel is not a big downside for affordable front drive elliptical because even the cheaper ones now come with Bluetooth or WiFi technology. With these wireless technologies enabled machines, a user can easily monitor his/ health statistics using smartphones. However, it must be noted that a control panel must be having simple controls where you can easily access the programs available and view your statistics clearly on the LED display screen. For E.g. Nautilus E614 Elliptical Trainer. Modern day smartphones can easily monitor the vitals but it always advisable to wear a chest strap heart rate monitor if you need better and accurate results. Wireless technology will also help your fitness trainer to monitor and track your workout patterns more efficiently. The most popular type among the elliptical trainers is the front drive elliptical trainers and there are many reasons for its popularity. We have listed out the features that make this elliptical stand out so that you will get a clear picture on why you must buy this. The front drive elliptical is more compact than many other elliptical trainers. They use up less space, therefore, ensuring a spacious home with a fit body. It is quite comfortable to buy an elliptical machine when you want to bring your fitness home. In any climate and at any space you will be capable of maintaining your body muscles. A gym might give variety to your workout but it is always good to have compact fitness equipment at your reach. Since they are compact elliptical machines they can easily be stored away after intense workouts. This keeps our small modern apartments spacious even at the comfort of having fitness equipment at your home. Another big advantage of the front drive elliptical trainer available in the market is the extra stability it provides compared to the other type of elliptical. The main reason for this is the placement of the flywheel or drive system below the control/ console panel which is located in front of the elliptical trainer. Of course, that is not the only reason for its stability other factors too come into play. The weight of the flywheel is quite important. The resistance levels provided by the front drive trainer due to the weight and the placement of flywheel directly in front of your feet are all crucial factors when it comes to the stability of the elliptical trainer. Another special feature of the trainer is the vertical incline on the pedal. This helps in giving the elliptical drive a more stable step while peddling and an increased center of gravity. All of these factors together make front drive elliptical trainer a good buy. So, if you have made up your mind to buy a front drive elliptical trainer, check out the ones that are having all the features that are discussed above. If you choose to buy an elliptical trainer after referring to this guide then you will be able to get the best elliptical trainer with a maximum performance that will suit your workout needs. Selecting an elliptical trainer will take your workout to a whole new level than if you are buying a conventional treadmill. Front drive elliptical is comparatively cheaper and many variants are available in the market so you can get the affordable front drive elliptical trainer if you buy them carefully. Moreover, a good buying decision will help you a lot in keeping your whole family healthy. It will be an addition to your normal workout session and you can burn extra calories in the comfort of your home leading yourself into a healthy and happy lifestyle.